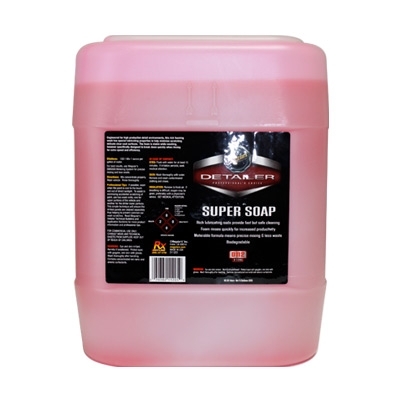 Meguiar's Super Soap is engineered for high production detail environments. This rich foaming wash has special lubricating properties to help minimize scratching delicate clear coat surfaces. The foam is stable while washing, however specifically designed to break down quickly when rinsing for extra speed and efficiency.